The Rain Before It Falls (2007) becomes a kind of historical novel, but starts with what proves to be a frame narrative in the 2000s. Upon the death of her aunt Rosamond, Gill finds that Rosamond’s last act was to record a series of audio tapes narrating the history of her family. The tapes are to be given to Imogen, a blind girl of whereabouts unknown. While waiting for any trace of Imogen, Gill and her daughters listen to the tapes themselves. The bulk of the book is then a transcription of Rosamond’s monologue, with one brief break back to the present, and a final twenty pages holding both an interior monologue and a letter from Imogen’s mother Thea, and the final anchorage of Gill once more. Rosamond’s monologue is distinctive in centring on a series of twenty pictures, on the grounds that most people acquire a ‘sense of themselves […] through looking at photographs’ (33). To describe the photographs’ contents to Imogen is thus supposed to provide her with ‘a sense of where you come from, and of the forces that made you’ (32). Rosamond’s words aim to compensate both for Imogen’s lack of mooring in family history (we eventually learn that Imogen was taken from her family and adopted) and for her lack of sight. The bulk of the novel consists, in principle, of ekphrasis, the verbal description of a work of art (if Rosamond’s photographs and postcards can be admitted to that category). There is much actual description: ‘I am guessing – from the colours, and the quality of the image – that this photograph was taken some time in the 1950s’ (62), and so on – but also much narrative elaboration around the snapshot moments: to a degree, the pictures become occasions for storytelling rather than truly the centre of attention themselves. If we guess that most of the pictures described are – unlike, for instance, those deployed by W.G. Sebald – Coe’s invention, then it seems curious to devote so much effort to describing them. But perhaps this is only a version of what fiction does anyway. A devotee of B.S. Johnson, Coe has always been aware of the idea that fiction is a foolish waste of falsifying effort; here he suspends such scepticism. What does Coe gain from this narrative strategy? First, a structuring principle and variation of voice, from a writer whose fictional construction has often been artful. Second, an observing and filtering consciousness such as Henry James might have recommended. Third, perhaps crucially, it allows Coe to write about the past (especially the 1930s to 1950s) without a third-person narrative that would risk being either anachronistic (getting the past wrong) or pastiche (straining to get the past right). Rosamond is from the past, but talking in the present: she gives Coe a safe route back into it. For all that, I’m not sure of the form’s efficacy. It involves a deal of narrational ‘business’ with Rosamond digressing, chiding and correcting herself, which does something for verisimilitude but does not add to our understanding. 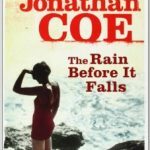 Arguably the narrative is more cluttered, less fluent, than it would have been had Coe simply taken on the events with a third-person narrator. Twenty pictures feels like a lot to get through, via a prim narrator offering little verbal flair and no jokes. That’s the novel’s most distinctive feature: alone among Coe’s works, including the three that have followed it, it’s not comic. The knockabout, satire and engagingly silly misunderstandings that populate his other works are entirely excised. Is it coincidental that this should happen in his most deliberately female-dominated book? Coe can hardly have meant to imply that women aren’t funny. Perhaps, rather, he approached the task of a narrative all about women with a certain careful reverence, switching off his sense of humour like Philip Larkin removing his bicycle clips in church. Or again, perhaps the issue is intertextual: Coe was trying to write in a particular female literary lineage which happened not to prioritise the comic. One guesses that Rosamond’s name nods to Rosamond Lehmann, one of Coe’s most cherished mid-century writers. Oddly, even near the novel’s end, it’s not very clear what the mystery is that Rosamond is about to clear up, and which woman is really the heart of the matter. The reading experience is less of waiting for the answer, more of wondering what the question is. In a sense, to produce such openness was a valiant experiment on Coe’s part. That he could write a substantial novel so different from his other work says something for his readiness to test his talent in unfamiliar territory, and suggests that he could still surprise us in future.